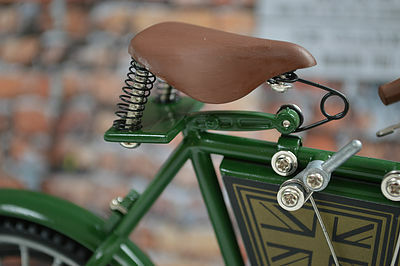 Anybody with an interest in vintage bicycles – or ‘cycles’, as they were often known – will probably be familiar with the German Adler company. 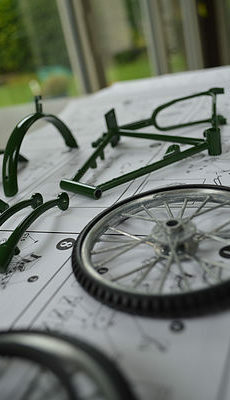 This kit brings you a modern rendition of their iconic style, ready to be painted up and self-assembled. 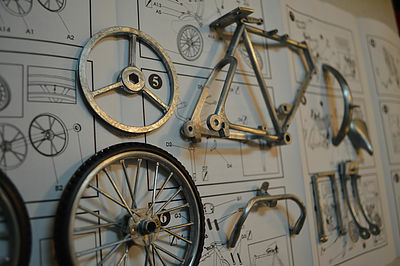 We really love the fact that this Adler bicycle model comes in bare metal, for you to choose the colours and design. 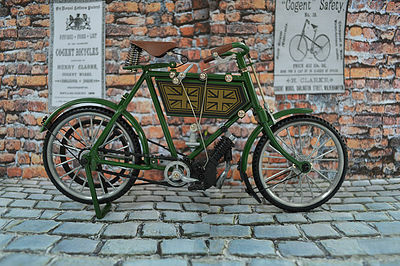 With some time and care, you can use this Adler kit to create a vintage model that captures the essence of what you love about classic bikes. 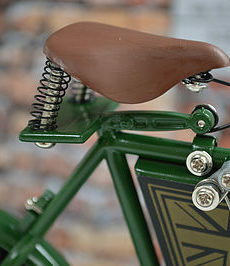 Operating between 1900 and 1957, Adler were known for their cars, motorbikes and even typewriters – as well as, of course, the bicycles. 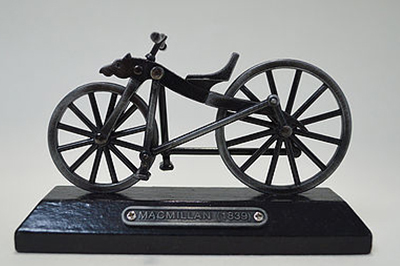 A successful company in Germany at the time, they’re now remembered across Europe – and the bicycle model that you see here is an iconic and stylish addition for any display. 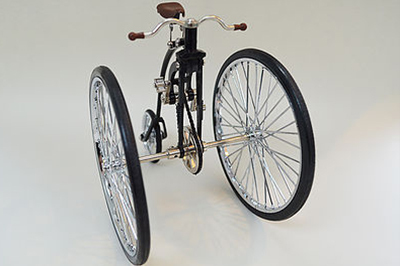 This bike will look excellent alongside our other classic models, which include a highly detailed Cogent 1885 as well as a really stunning 3 wheeler Farthing. 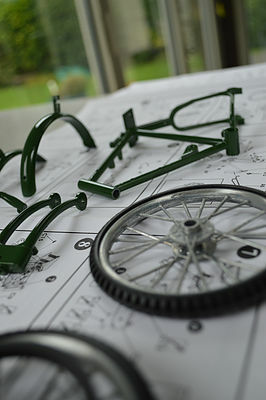 You’ll find plenty of home-build kits, as well as pre-assembled models that offer a professional build quality. 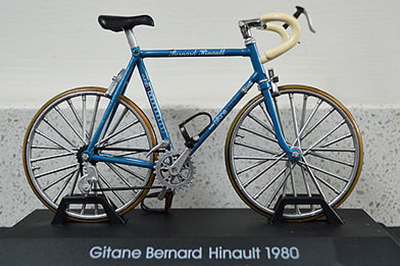 While we’re all bound together by a love for well-designed bikes, it’s also true that there are many different types of cycling fans… from high-speed racers, to off-road trekkers and vintage collectors. The Adler kit makes the perfect present for anybody in the latter category – but don’t worry if you’re looking for a gift to suit somebody with slightly different cycling tastes! 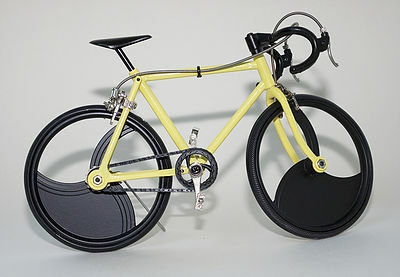 Whether you’re looking for a present to congratulate a recent cycling success, a piece of art or crockery that can be displayed in your loved one’s home… or just about any other kind of unique cycling present, we can help you find the ideal option. If you have any specific questions, or would like some more details, please feel free to get in touch at any time. We can be reached via our online contact page – someone will get back to you within 24 hours. 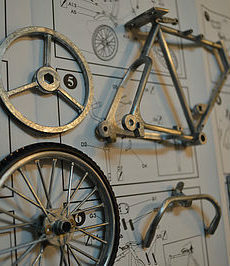 Whatever you need, our experienced and knowledgeable team will be able to lend a hand; otherwise have a browse of our products and see which cycling gifts and memorabilia take your fancy!